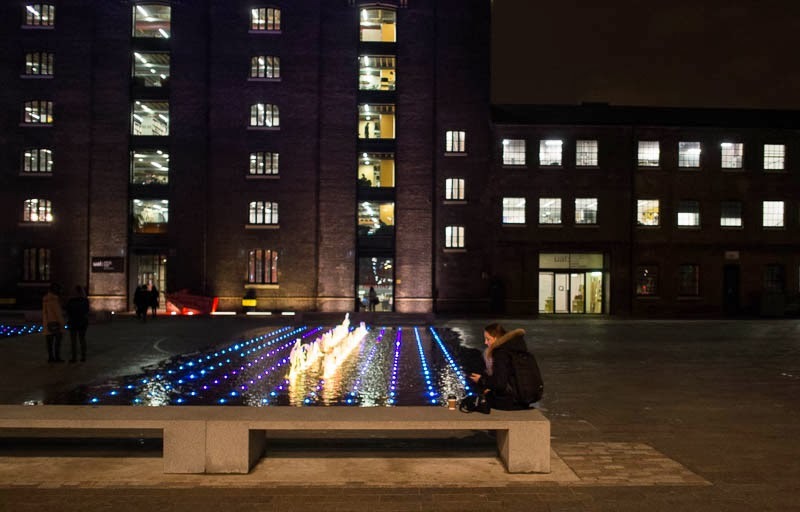 The dancing fountain at Granary Square in the evening with coloured lights in the fountain jets making a very pretty display. Any music with that display? You are pretty good with these night shots. It does look pretty Mo, cold also! That looks nice with the colours. Enough to put a smile on my face! Oh, never realised they were illuminated in that pretty way. I'll have to go there one day at dusk.Thanks for the heads up - as is so often the case.